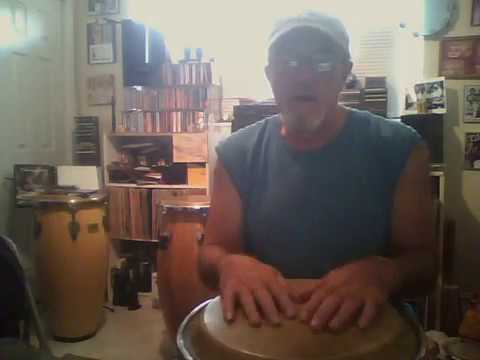 Cognitive Discovery with the Drum: A new way of learning how to use your brain in ways to develop your intake of information and how it's interpreted on the Conga drum. Johnny delivers an exceptional lesson experience and ranks in the top 15% of our teachers nationwide. A Hand to Drum Prods. I have been a performing musician for 53 years. Some of the Artists I have worked with are Carlos Santana, Eddie Palmieri, Gloria Gaynor, Sergio Mendes and many others. As a Teacher I have been teaching for 30 years and have taught at 5 Universities as Adjunct Lecturer. 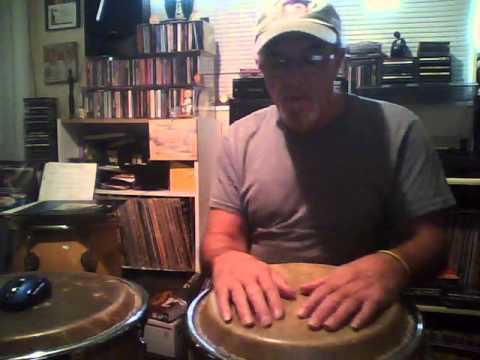 I am the first Online Conga drum Instructor, which I started in 2006, and have gone on to teach many from around the world, and the United States. From Mark and Diane after their 3 day Intensive with me...they came from Seattle,WA..where they had also taken some lessons with me...here is what they said abut their experience with me. Want to Thank you and Maggie for your hospitality and good cheer while Diane and I were visiting. This was truly a great experience for us. Trying to remember all the individual details we learned and very glad we recorded everything. You certainly did take us to the next level and over the next several months we will review and improve. The metronome will now be standard in our practice for quite a while as well as working for speed. You showed us many fun rhythms but more importantly you taught us a clear path for development which is what we have been missing. Be in touch in the future and already starting to think about an early winter return for another 3 day intensive--but for the time being we are finally on path. Just playing a bit over the weekend we were so much more focused and also very realistic about our renewed dedication. Recent testimonial from ongoing pupil Charles B.
JC is a guy who believes TEACHING is an art form, and he is good at it. He has a system, it's not random, he has thought it thru...He breaks it down so that you are doing something you understand, and you understand WHY you are doing it. A lot of guys can play, but not every guy who can play...can teach. Johnny can do both. From Michael Bento-San Diego, CA--. Johnny is a great instructor and has provided me with exercises and tips that are already showing results. He is patient and like a doctor able to diagnose your playing and provide the right treatments to help improve your playing. I highly recommend him. Thanks Johnny! From Online pupil from England George D.
Johnny is an awesome teacher. Instructive. Quick to find what you need to focus on. Patient. Insightful. Funny. Just what you need if your time is precious, but you can get in front of webcam for a few hours a week. He's helped me get those tones right and given me the confidence to grow. Really, really importantly he's always there for questions and support outside of the lessons.